I don't know about you, but I LOVE ponchos!! They come in so many different styles and colors. There are ponchos for casual wear with denim, or you can purchase a dressier one for that special date night! One of my daughters is also partial to ponchos, so mine disappear quite often. *Easily dress up jeans and a tee by adding your favorite, patterned poncho to turn your casual look chic. *Pair it with a dress! Adding a poncho to a dress is an easy way to layer and add dimension to your look. *To add glam to your poncho, accessorize! 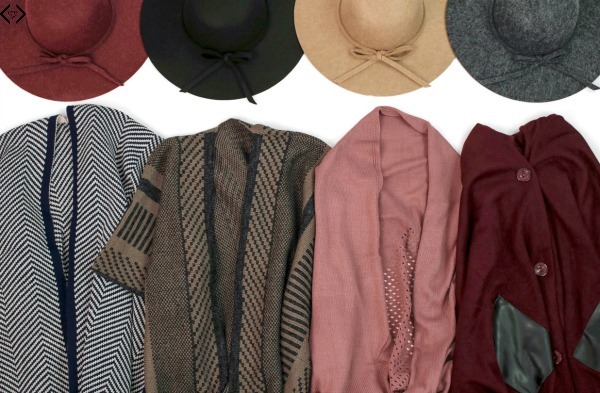 Pair your poncho with your favorite statement jewelry and a stylish hat. 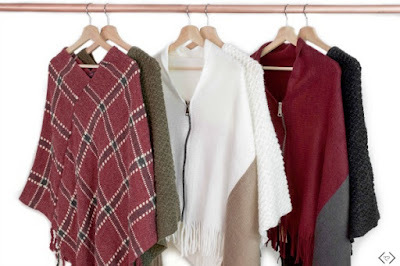 *For a more polished look, layer your poncho with a simple button-down top. Even just having the collar peeking through will make you look more put-together.